If you noticed that your gums are receding, you have weakened grip strength, and your nails have become weak and brittle, you could be among the over 50 million people in the United States that have or are at increased risk of getting osteoporosis. To reduce your risk of breaking a bone during regular activity due to osteoporosis, call or make an appointment online today at Louisiana Women’s Healthcare in Baton Rouge, Louisiana. Osteoporosis is a bone-weakening disease that results in fractures from mild stresses like sneezing or coughing. Bones are living tissues that continuously get broken down and replaced. Osteoporosis results when your body can’t create new bone as fast as it removes old bone. When your bones are healthy, the inside looks similar to a honeycomb. Osteoporosis causes the spaces to grow, and, in turn, causes your bones to lose strength and density. Osteoporosis also causes the outside of your bones to get weaker and thinner. To check for osteoporosis, your doctor at Louisiana Women’s Healthcare reviews your medical history and does a physical exam that includes blood and urine tests that check for conditions that cause bone loss. If you have increased risk factors for developing osteoporosis, you get sent for a bone density test. 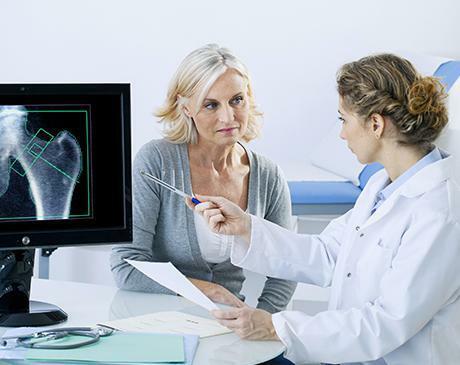 Called a bone densitometry, or dual-energy X-ray absorptiometry (DEXA), this test uses X-rays to measure the proportion of minerals in your bones in the three areas most at risk of osteoporosis: your wrists, hips, and spine. A bone density test is painless and requires you to lie on a padded table while a scanner passes over your body. While there’s no cure for osteoporosis, proper treatment helps to both protect and strengthen your bones. The medications and recommendations provided by your doctor at Louisiana Women’s Healthcare help slow the breakdown of your bones. There are also some treatments that help spur new bone growth. Medication: Bisphosphonates, which prevent the loss of bone mass, are the most common drugs used to treat osteoporosis. Lifestyle Changes: Your doctor at Louisiana Women’s Healthcare recommends you increase your intake of calcium and vitamin D and get the appropriate amount of exercise. Prevent falls: Wear shoes with nonslip soles and low heels. Look where you’re going and install grab bars inside and outside your shower. 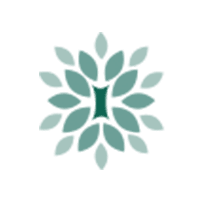 To get help with osteoporosis and preventing bone loss, or to strengthen your already weak bones, call or make an appointment online today at Louisiana Women’s Healthcare in Baton Rouge, Louisiana.